Review: Vulcain 50s Presidents’ Chronograph Heritage | Watchfinder & Co.
As a sucker for vintage watches but with a wrist wide enough to make them look silly, I’m always open to heritage-inspired designs upscaled to modern proportions. 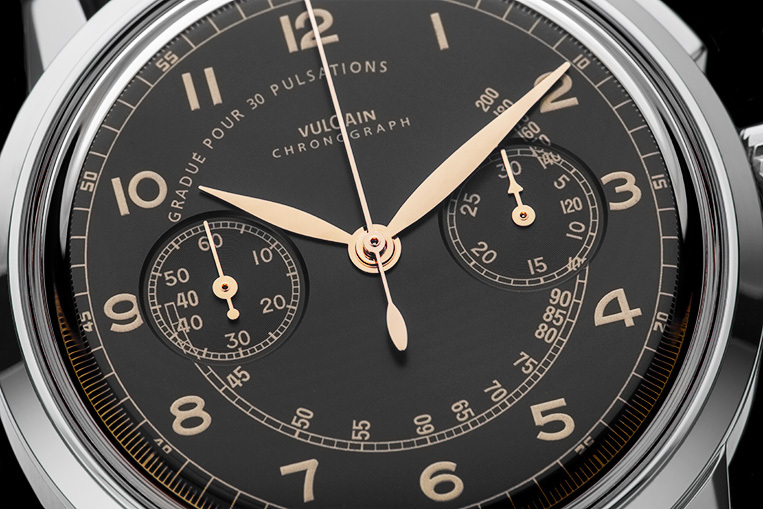 When I saw the press release for the Vulcain 50s Presidents’ Chronograph Heritage (herein known as Presidents’ Chrono—take note you people at Vulcain in charge of naming watches) I was immediately drawn to it. 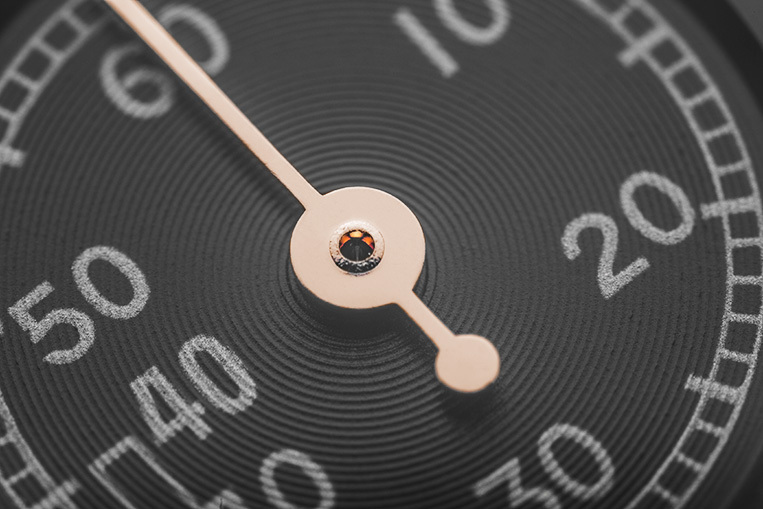 If I’m a sucker for vintage watches, I’m even more so for bi-compax chronographs, and with the printed tachymeter on the dial and the single rectangular pusher, I was smitten. With the watch in my hands, the dial is even better than I imagined. The print is ever-so-slightly raised and consists of a textured gold ink with an attractive flake to it. It feels vintage without being mock vintage. It’s crisp, but not so crisp that it looks out of place with the retro styling. The rose gold leaf hands match perfectly. In short, the dial is spot on. There’s not a detail I’d want to change. The case, in plan, is also well-judged. The lugs feel the right length, the 42mm diameter hugging the wrist well without feeling too big, and the crown and monopusher don’t feel too big or too small or, worse, completely the wrong style. The sapphire crystal rides a little higher than the edge of the case, curving sweetly in true vintage style. So far, so good. But notice I said well-judged ‘in plan’. That’s because there’s a bit of a problem, and it all revolves around the calibre V-57 inside. 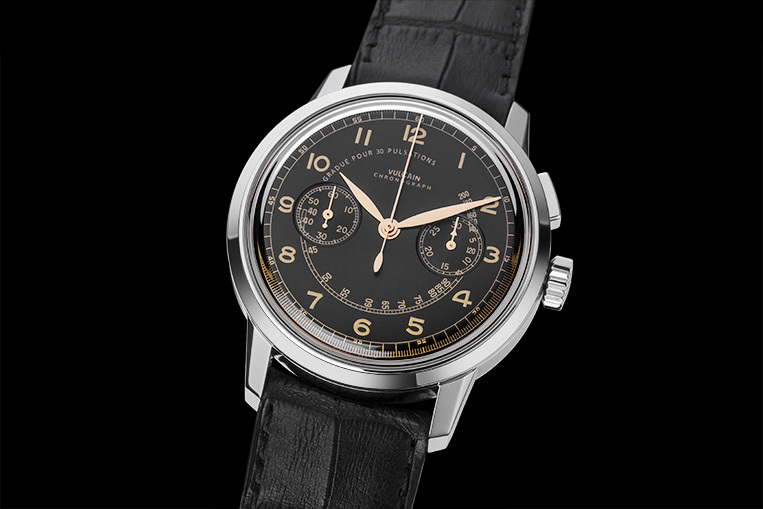 Based on the ETA 7750, it has been modified by renowned movement manufacturer La Joux-Perret as a dateless monopusher bi-compax chronograph. It runs well, exhibits the rotor wobble and firm pusher resistance as is normal for a 7750, and is more or less like the standard version. Which is where the problem lies, because the original is just shy of 8mm thick. Add a caseback, dial, case and crystal and you’re left with a watch almost 14mm thick. 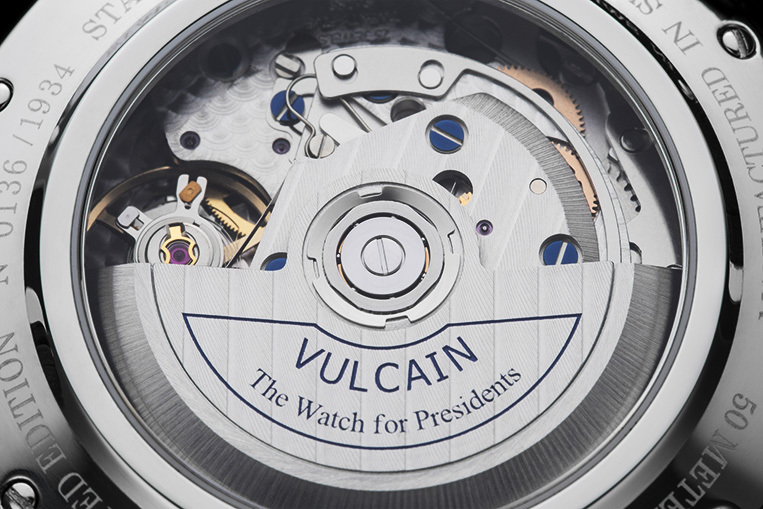 It’s the same with any 7750-based watch, but it’s a mark on an otherwise perfect record for Vulcain. And it’s more noticeable because the rest of the watch has its proportions so well nailed down. It’s almost like a trick of the light: you see the watch front on, imagine how thick (or thin) you expect it to be, turn it round and—oh. It’s too thick. You may think I’m being overly nit-picky because there are many, many 7750-powered watches out there with thick cases, but for the most of them its forgivable because they’re expected to be bulky. Think IWC, Panerai, Omega: big, sporty watches. The Presidents’ Chrono should have a slender case to match its elegant design. It’s a great watch, it really is, and I recommend it for the most part, but I’d give it a wear before you part ways with your cash. It might not bother you like it does me, but I’m sure we’d both be in agreement that a slim hand-wound movement to bring the thickness down would make the Presidents’ Chrono one of the nicest vintage-inspired watches out there.